Delaware Engineering, D.P.C. is different from other professional engineering firms. Our deep respect for our clients, community, and colleagues sets us apart. Our clients are predominantly municipal entities with selected industry in our portfolio as well. We understand that municipal leaders come to government from all walks of life and bring unique perspectives, knowledge and experience that are to be respected and engaged in the process of governing. The functions of government are complex and it is our role to provide facts and guidance to municipal decision-makers to ensure that the best interests of the public are achieved. With respect to industry, we are keenly aware that infrastructure and regulatory compliance are non-core functions that in some cases distract from operating a successful, profitable business. Our role is to handle non-core infrastructure and regulatory functions so that business leaders can focus on core functions. Our community is as broad as the locations in which we work. From our offices in Albany and Oneonta, our geography spans from New York’s Capital District throughout the upper and lower Hudson River Valley through the Adirondack and North County Region to the Metropolitan Suburban Region north of New York City through the Catskill Region to the State’s Southern Tier. Wherever we are engaged with municipalities or industry, we are engaged with community. We respect the unique character and nature of each community in developing customized solutions to water, wastewater, stormwater, municipal buildings, special projects and economic development challenges. Because we take the time to get to know each community personally, we treat each person and each project with a commitment and passion as though it is our own home town. Our colleagues are the engine that drives our business. Our professional and technical staff of more than 60 engineers, scientists, planners and technicians are each responsible for the well-being of our clients, our communities, and each other. By encouraging personal connection and responsibility between our staff and their project work, clients benefit from the sincere dedication of our staff to a project’s success. Since the founding of the company in New York’s Delaware River Watershed in 1987, our colleagues continue to be driven by an intense desire to improve the world through everyday successes. Delaware Engineering, D.P.C. is different from other professional engineering firms in our achievements in supporting communities and industry through access to grants and low cost financing and our community service contributions which we see as a small way to pay our accomplishments forward. We welcome opportunities to explore new relationships with clients, communities, and colleagues. The Town of Hyde Park is an historic community located along the banks of the Hudson River. During the 20th century, the Town developed into an automobile-based suburb with residential neighborhoods surrounding the heavily travelled US Route 9 commercial corridor. This automobile-centric stretch of Route 9 actively discourages pedestrian and bicycle usage, and the commercial node is safely accessible only by car. 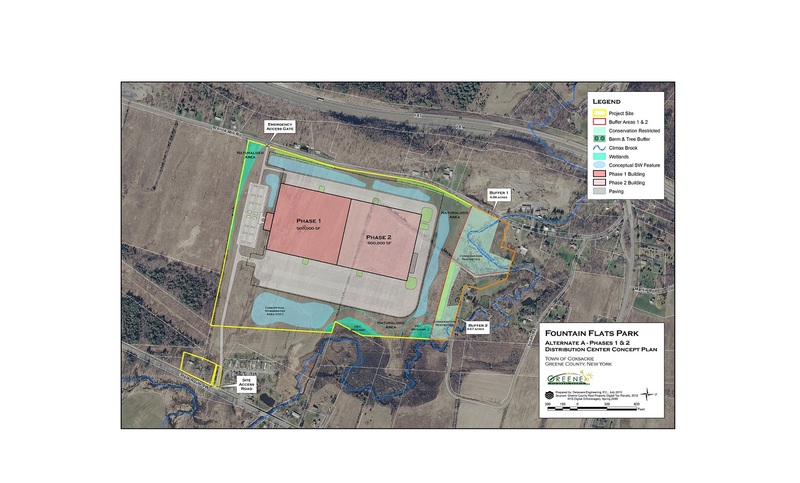 Further, the commercial area to the east of Route 9 has failed to reach its full potential, in large part because the area lacks public sewer infrastructure. With a NYSERDA Cleaner, Greener Communities grant, the Town hired Delaware Engineering to create a Planning & Engineering Report for the Redevelopment of the Town Center. The goal was to provide the Town with the initial planning and engineering to begin revitalizing the declining central business district, transforming it into a vibrant, pedestrian-friendly Town Center that will encourage new mixed-use development and serve as a lively “village” where residents can live, work, dine, and do errands without the need of a car. The Report provides the initial road map to retrofit this key commercial node and to identify the multiple strategies to make the Town Center area “development ready:” both more marketable to investors, and more walkable for, and attractive to, residents. The Report identifies several initiatives to incent private investment: updating zoning, improving Route 9, and most importantly, constructing a public sewer system. These advanced preparations will ultimately make the Town Center area more marketable to private investors and will establish a foundation consistent with the community’s desire to have a pedestrian-friendly downtown and, ultimately, a cleaner, greener community. The Town of Beekman plans to create a new Town Center along NY State Route 55, incorporating approximately 135 acres of land. The objective of the Town Center is to focus a traditional pattern of mixed-use, pedestrian friendly development in a compact area while maintaining the rural character of the surrounding countryside. Development of the Town Center is intended to provide economic benefits in terms of tax base, a jobs/housing balance and a sense of community. In planning the Town Center, community leaders recognized that provisions of central water and sewer services are essential to support their vision of compact development. The Town and Dutchess County Water & Wastewater Authority (DCWWA) engaged Delaware Engineering to evaluate various alternatives for providing central water and sewer services to the Town Center. 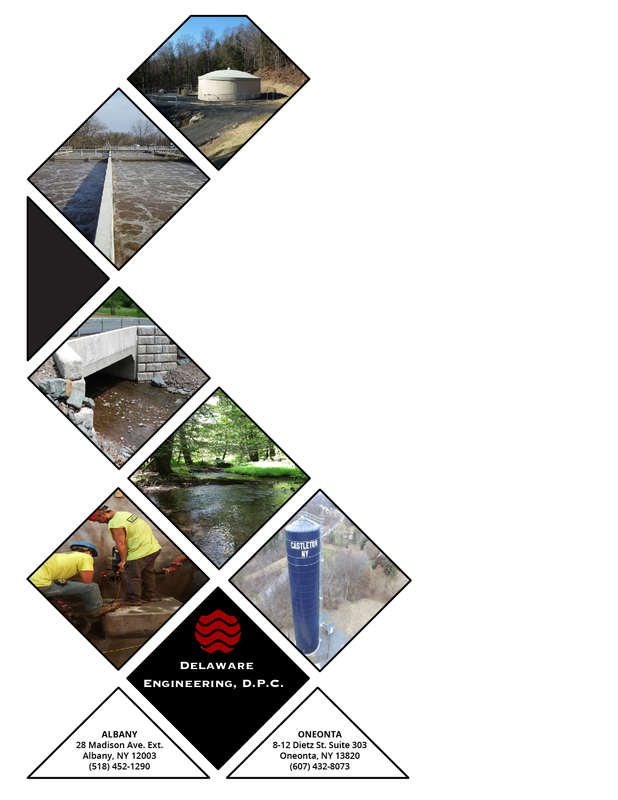 Delaware completed a feasibility study which includes calculation of water and sewer service demand under current conditions and at full build-out; analysis of methods to convey potable water and to collect sewage within the Town Center; investigation of the potential to provide a new water supply and new wastewater treatment; and review of opportunities to connect the Town Center systems to existing DCWWA water and sewer systems. 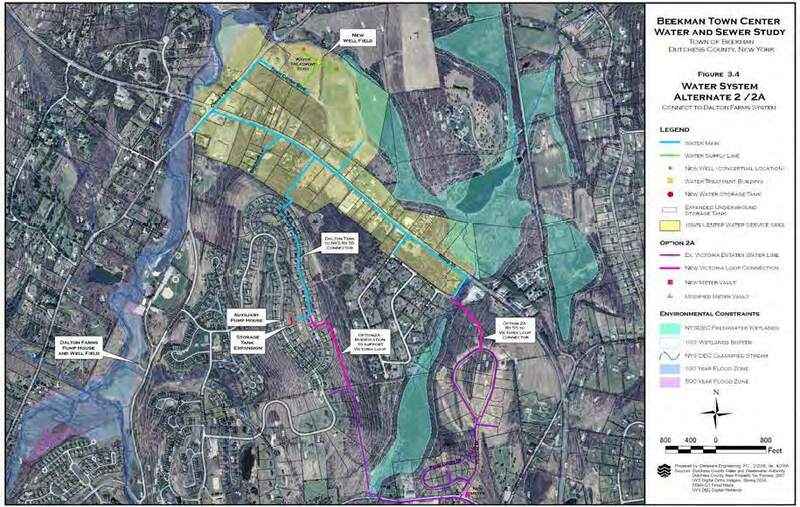 Delaware Engineering worked with The Town of Hunter, the Villages of Hunter and Tannersville, and Greene County, to prepare the Hunter Corridor Regional Planning Study – a comprehensive land use and development analysis for the State Route 23A region. The Study assessed the potential impacts from future development on the Hunter Communities’ environmental, community and infrastructure resources. Throughout the process, stakeholders engaged in inter-municipal discussions to characterize and focus the nature of development and growth. The Study also analyzed the environmental conditions and infrastructure that would constrain or support desired land uses, and the federal, state, regional and local regulations that shape land use. The Study concluded by offering planning tools and recommendations to the Hunter Communities to bring the shared vision to fruition, while protecting and conserving the intrinsic resources that give the Hunter Communities their sense of place. Funding for the Study was provided by the Catskill Watershed Corporation’s Local Technical Assistance Program Schoharie Watershed Impact Studies Grant. 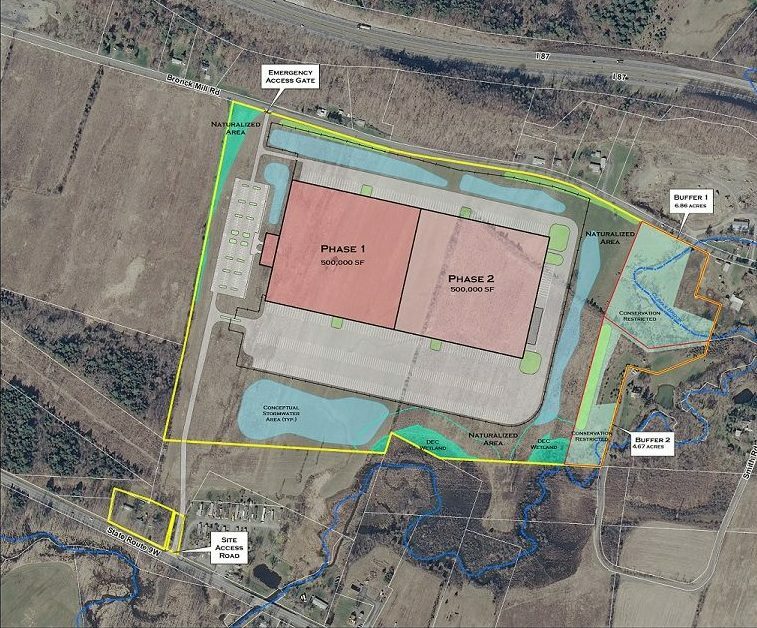 Delaware Engineering is the primary consultant to the County of Otsego Industrial Development Agency (COIDA) for the preparation of a master plan and economic development strategy for the Oneonta Rail Yards, located within the City of Oneonta, New York. The redevelopment of the Oneonta Rail Yards site, centered on Roundhouse Road and in the vicinity of Chestnut Street, involves construction of access to the site, which may include a bridge, as well as the extension of utility infrastructure and site roadways. 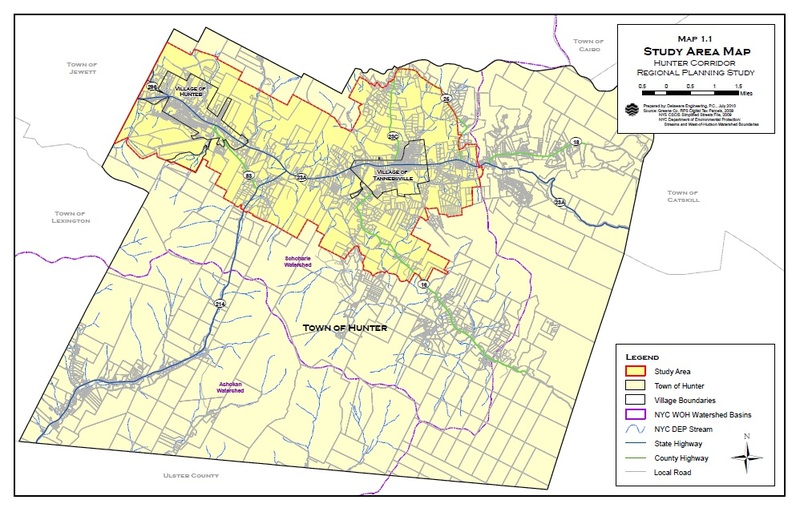 The total potential project area consists of approximately 17 individual parcels and approximately 200 acres with access to public water and sewer systems, as well as natural gas. 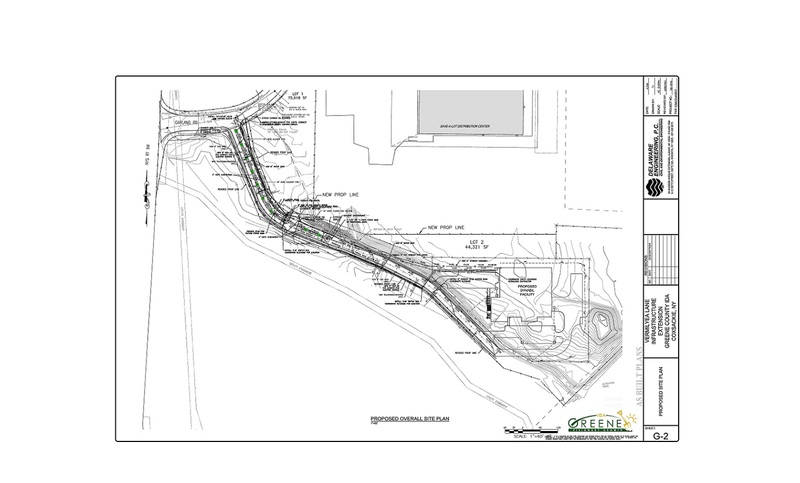 This project is intended to create a new industrial/commercial business park, utilizing locational advantages by being in close proximity to the railroad and I-88. Establishing a new industrial/commercial business park will provide additional markets for Otsego County, create new jobs, and add to the local tax base. Delaware Engineering will craft a conceptual redevelopment master plan for project area. The plan will examine potential uses of the land and the concomitant potential environmental impacts of redevelopment. As a first step towards creating a shovel-ready site, Delaware is crafting a Draft Generic Environmental Impact Statement and providing public information session support to the City, which is acting as Lead Agency in the SEQR process.